This application was made under our old grant programme, but it would meet all three outcomes from our Employment and Training priority and two outcomes from our Financial Inclusion, Rights and Entitlements priority for our Improving Lives grant programme. Enfield Citizens Advice Bureau provides free advice services across housing, employment, benefits, debts and immigration issues. They operate in a diverse but very disadvantaged community, experiencing a large increase in demand over recent years. They faced growing queues at drop in centres and struggled to find the capacity to support their clients. 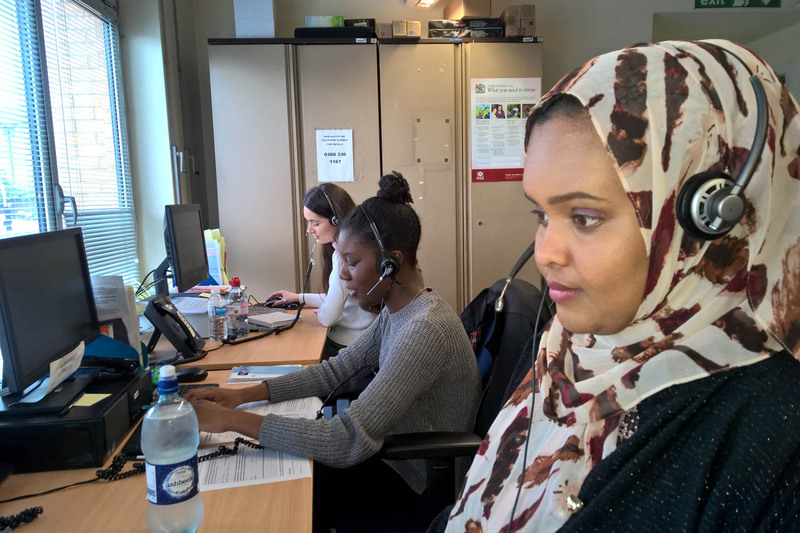 They decided to tackle this by employing three apprentices, one of who was fluent in Turkish and another in Somali, to increase their capacity to support clients and also to better meet the needs of their client groups. We liked the project because while CAB apprenticeships were still a relatively new concept at the time of application, Enfield CAB could demonstrate how they had been a success for other CABs nationally. The project showed the potential to provide training and employment opportunities to young people while at the same time allowing the organisation to increase capacity to support and better meet the needs of their client groups. We wanted to show that we reflected our whole community and we felt that by offering training to 3 advice apprentices, at least two of whom would speak community languages, this would make our services more accessible to our diverse local community. Then there was simply the issue of overwhelming demand, up 283% in 10 years. The apprentices rose magnificently to every challenge we set them and they quickly became part of our team. We have been amazed at how quickly they have learned and progressed. It is also wonderful to be able to offer a service in Somali and Albanian for the first time. We would have no hesitation in recommending an apprenticeship programme to other charities. In the first year of the grant, three apprentices have been employed. They initially began working on the CAB’s helpline, carrying out 757 telephone gateway interviews. They moved on to providing face to face gateways, meeting with 612 clients. The apprentices have learned soft skills such as interview techniques as well as accredited modules in benefits, debt, employment, housing and immigration advice. Their support has fed into the organisation’s ability to provide greater support for its clients. In the last twelve months they have doubled the amount of benefits that they have been able to gain for people, from £551,406 to £1,292,750.. I have learned so much about social problems in society and it has helped to mature me. The support from the CAB has been excellent in helping me to learn .You also get the immediate satisfaction of being able to help someone, whether they are struggling with a language barrier preventing them from making a claim for something they are entitled to, or assisting those with limited digital skills.